Congratulations to Affiliate Marketing Expert Murray Newlands on being selected one of three finalists for the 2010 Best Blogger Affiliate Summit Pinnacle Award. Murray is also one of the affiliate marketing speakers on the 2010 Affiliate Summit West Agenda. Monetizing Blogs for Affiliate Marketing and SEO (Session 2a Location: Brasilia 1-2 Time: 1:30pm-2:30pm) ~ Learn to maximize affiliate commissions using blogging, increasing your community, and utilizing SEO. There are so many excellent sessions occurring simultaneously at Affiliate Summit attendees may find it really challenging to decide between them. If you want to know more about Murray read this Murray Newlands interview written by Lynn Terry – (Twitter) – at the ClickNewz Internet Marketing Blog. Be sure to check out Lynn’s Internet Marketing Product Reviews. Will you be at Affiliate Summit? Even if you can’t attend that session do look Murray up. I’ll include his photo here so you can find him more easily. 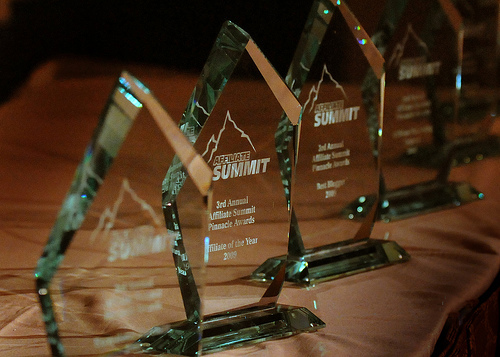 Affiliate Blogger Joe Sousa of What Does Joe Think shared his insights on who the winners of the 2010 Affiliate Summit Pinnacle Awards may be – thanks ReveNews for alerting us. Who do you think will win? Glad to have you here. If you have any questions or there is any particular information you want to find just ask me on Skype (only growmap there…just search for growmap as my username) or in the comments. First i would like to congratulate to Murray who teaches a lesson of online success. He is the ideal of new bloggers. I’m really impressed. I didn’t even know of the existence of this award. How about last year and this year? Congratulations Murray Newland! It is your another milestone! I wish for more success to come. This is really great news but not too big a surprise because Murray Newlands is a fantastic blogger and was bound to win someday. It was good to know that Murray is such a humble guy. It’ll be always a pleasure to read his blogs. Nice, I met Murray a while ago at a similar function (he won’t remember, this was a while ago) and he was an incredibly nice, polite person. He deserves this success! i will feel owner if you help me in promotion of my site n business. It is obvious you are fairly new to blog commenting. You don’t want to comment in the way you are because most bloggers will flag you for spamming and delete your comments. If you say I have a site at wherever most will delete you. Let CommentLuv and KeywordLuv help you. See the post I’ll put in CommentLuv in this reply for more details. I didn’t know there were such awards as blogging awards. Well done Murray. .-= kenapaha´s last blog ..Bhakti Online Brokerage Launching 20 Januari =-. Wow, congratulations to Murray Newlands. I have often come across his blog on my researches on affiliate marketing. His always comes up – it is really very informative and I really like his writing style. Congrats Murray! Congratulations Murray. I love your posts! Great stuff, and congrats to Murray. He interviewed me in 2009 and that was one of the pinnacles of the blogging year for me. .-= Mitch´s last blog ..How Can You Prosper Through Publicity? =-. .-= Eddy Tembilung´s last blog ..Ultrasonic Humidifier =-. Congratulations Murray Newlands. Keep on blogging. .-= Teena@Brisbane Hotels´s last blog ..Tomic snags final Brisbane berth =-. I’ve wanted to attend that for a while now, hopefully finances will allow it soon. .-= Dennis Edell´s last blog ..Again – Pick My New Domain Names With A chance To Win $10! =-. .-= padipaws´s last blog ..What is PadiPaws =-. Thank you so much for this post. I am deeply honoured to have first been nominated for this award and then to receive posts such as this from yourself. I love your blog this means a lot. Thank you. .-= Murray´s last blog ..Maryann Piek TickTacDough Product Review Writer An Interview =-. That is really very fantastic news, I sometime read his blog, really his blog have lots of article on affiliate marketing and make money online. well congrats Murray Newlands selected one of three finalists for the 2010 Best Blogger. .-= chandan´s last blog ..How to build link by linkbaiting strategy =-.